The SCDNR will host the 2nd annual Youth Bass Fishing Championship on Lake Murray, March 29th in conjunction with the Palmetto Sportsmen's Classic. Weiigh in will take place at fairgrounds during the Classic. 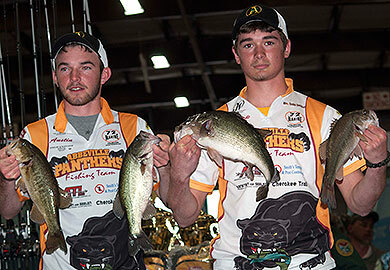 Middle schools and high schools are eligible to participate, and can send up to six anglers, who will split into two-man teams. An adult volunteer will be onboard with each team. For more information on this tournament, or on youth fishing clubs in general, contact the SCDNR's Lorianne Riggin at 803-737-8483.